Instagram Stories are finally coming to your desktop and the mobile web — without the aid of a browser extension. The Snapchat feature-clone Snapchat Stories vs. Instagram Stories: What's the Difference? Snapchat Stories vs. Instagram Stories: What's the Difference? At first glance Instagram Stories and Snapchat Stories are very similar, but there are a couple key differences that mean they aren't interchangeable. You'll want to avoid a social media faux pas! Read More , now used more frequently that Snapchat itself, will initially allow users to view simply view Stories. You’ll have to grab your smartphone and head back to the main Instagram app to actually update your feed How to Use Instagram Stories Effectively: Basics, Tips, and Tricks How to Use Instagram Stories Effectively: Basics, Tips, and Tricks Instagram Stories is the photo-sharing giant's take on Snapchat. The purpose is to add a new layer of fun to your images and videos. Here's everything you need to know. Read More . “Stories” formats have sprung up across social media platforms in response to the success of Snapchat. Facebook tried several incarnations, Skype has had a go, and even dating apps have attempted to recreate the somewhat addictive and highly entertaining Snapchat Stories feature. However, until now, most have failed to capture the essence of fun that Snapchat Stories provides. This is largely due to different demographics utilizing services for different reasons. Conversely, Instagram Stories is an expansion of a platform 8 Tricks for Instagram Stories You Definitely Didn't Know About 8 Tricks for Instagram Stories You Definitely Didn't Know About Let's have a look at the not-so-obvious features of Instagram Stories you can use to level up your story game. Read More already focused on visual communication, and one that is continually growing in popularity. Instagram Stories will introduce much of the same functionality as Snapchat. Users can morph their face using an augmented reality filter, as well as stickers, (more) face filters Everything You Didn't Know About Instagram's New Face Filters Everything You Didn't Know About Instagram's New Face Filters Instagram has a new feature: face filters. We show you how to use them and explain what they're useful for. Read More , and of course, ephemeral messaging — key to the success of Snapchat. Instagram Stories “will be available to everyone in the coming weeks,” though the blog announcement from the Facebook-owned company gave little away. However, we do understand that watching Stories on the web will be different from the mobile app. Instead of swiping and tapping between bubbles to see what your friends are doing, arrows will be in place for navigation. To access Stories, head to the Instagram site and login to your account. Remember, the service might not have reached your account yet — you’ll have to be patient! 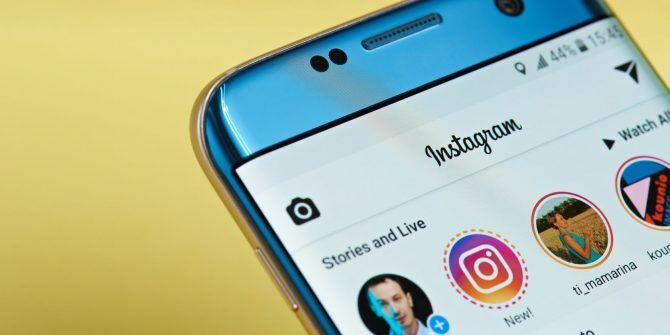 The move from Instagram is a significant step in the social media market, clearly targeting overseas expansion in markets with poor mobile connectivity — and with over 80% of Instagram user-base located outside the U.S., the move makes even more sense. Take that as you will. It could mean something will appear later so long as Instagram Stories mobile web integration works well. Or, that Instagram really is solely focused on mobile services. Because, let’s face it, accessing the service from a desktop will be easy. Do you prefer Instagram Stories to Snapchat? What are the major differences between the two? Why choose one over the other? Let us know your choices below! Explore more about: Instagram, Snapchat.